Teachers often have students in their classroom who appear anxious throughout the school day. No teacher, parent or student for that matter wants to experience those anxious moments. Today students have the added social stress of technology. Not only through social media, they have the ever increasing choice of games, apps etc. By providing the appropriate tools needed to reduce “anxious moments”, the classroom can maintain a calm learning environment. As teachers we want to see students succeed, have meaningful fun experiences at school. There is much that can be done pro-actively to enable students to feel more in control and safe in their learning environments. Brain break provides many activities that can be incorporated into the daily school curriculum to help anxious students. Completing a breathing activity, mediation or controlled movement once or twice a day can help reduce anxiety. Sometimes the simplest of activities can produce the greatest results. Below I have attached two sample brain breaks that work fantastically with students of all ages to reduce anxiety and stress. At the beginning and end of the day, set aside five minutes for students to do a private meditation or imagery. Using breathing exercises enables the student to learn to relax their bodies and minds. You can listen to one of our guided meditation podcasts by clicking HERE. You will also be able to download the scripts if you would prefer to read these out for the students in your class yourself. Brain break games and movements also offer students a different way to deal with excess stress. Scroll through different games to introduce daily which will help with social interaction. Help students feel empowered through games and movement, encouraging them all to be on the “same playing field”, equal with their peers. To sign up to receive five days of FREE brain breaks simply click here. I have created a step by step free guide for teachers to explore the amazing benefits of using brain breaks with students. 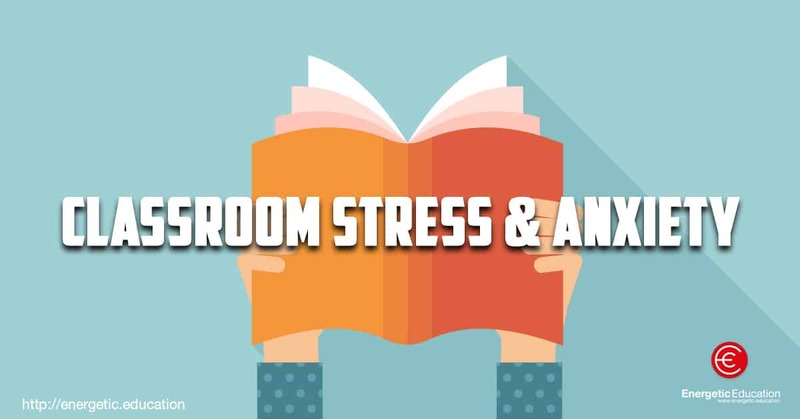 These activities will help reduce anxiety and stress in the classroom. If you are really interested in everything we have just discussed be sure to check out our top selling app, BrainBreak. This is your one stop shop for helping students overcome stress and anxiety.